Playgrounds in Mississippi are a parent’s best friend. They’re fun, they promote a healthy lifestyle, and best of all, they’re free! Kids can play away the morning or afternoon while moms and dads can sit back and relax a while—or join in the fun with their kids! Get yourself and the kids off the couch and into the sunshine at these 10 best playgrounds in Mississippi. This park has not one but three playgrounds, each one suited to a specific age group. The play areas are all located within a stone's throw of each other, and are close to parking areas and restrooms. Families love this part because it's open from early morning until after the sun goes down, and it's one of the cleanest, most well-maintained parks in Mississippi. This playground has several unique climbing structures that make it fun for children of all ages. This playground also has an added bonus for parents—workout equipment. it's also a dog-friendly park so even your four-legged family members can enjoy themselves here. The wooden, castle-like playground structure here is a little old, but that doesn't make it any less fun. 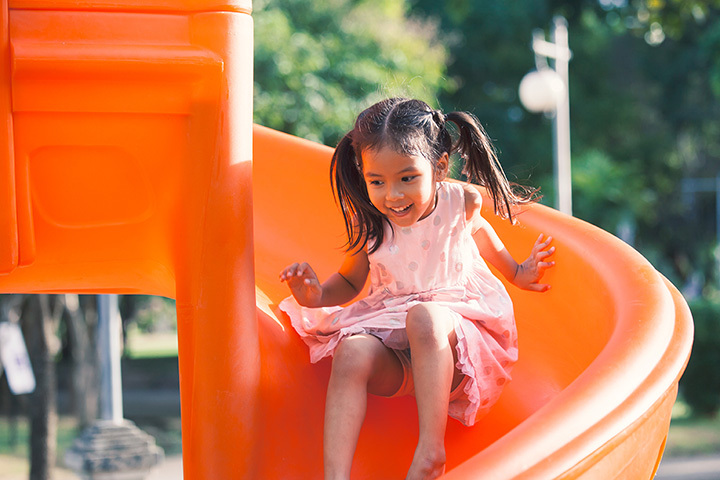 Kids love the multiple levels of play, the intricate, winding maze-like features, and the fact that there's plenty to climb on and keep them busy. It's certainly one of the most unique playgrounds in Mississippi, and it's well worth a visit. Ocean Springs has no shortage of fun playgrounds, but this one is a must-visit. The pirate ships theme and play structure will keep your kids busy for hours. Plus, the ocean views from within the park just can't be beat. There are lots of things to see and explore in Buccaneer State Park, but make sure the playground is one of them. This large playground has features for toddlers and teens alike, and even offers swings for children with disabilities. If you're planning a family outing, there are plenty of pavilions within the park. This playground lives up to its name, as you get wonderful riverfront views as you play. The sprawling playground is perfect for toddlers and big kids like. They also have plenty of covered seating for parents who want to keep out of the sun while the kids have a good time. This family friendly sports complex features two playgrounds side-by-side that are chock-full of activities for kids of all ages. Trees line the area, so there's always plenty of shade to keep parents cool as they watch their kids play. The park also features of fun section of inventive musical instruments to entertain and delight. This playground certainly isn't the biggest, but it is one of the most enjoyable thanks to its massive canopies that block out the sun and keep debris off the play equipment. Parents won't mind taking their kids here on a hot summer day because there's always plenty of shade and lots of things to see and do. It's definitely one of the cleanest parts you’ll ever go to in Mississippi. From a skate park to an Olympic-size swimming pool, there's plenty to do at Vicksburg City Park. The playground is a definite must-see. The playground is located right next to a massive pavilion that's perfect for family get-togethers or other events. This unique playground is unlike any other you'll ever visit. With inventive obstacles and an imaginative design this modern playground is perfect for climbers, swingers, and sliders alike. The park also features picnic tables, so bring a lunch and extend your play time.